1. Designed with 4 peghooks to hold products with blister packaging. 3. Designed with customized graphics on body and header. 4. Light weight and easy to assemble. These counter top displays are made of corruaged material to keep weight in light. They are also easy to assemble for the user to save time and cost. 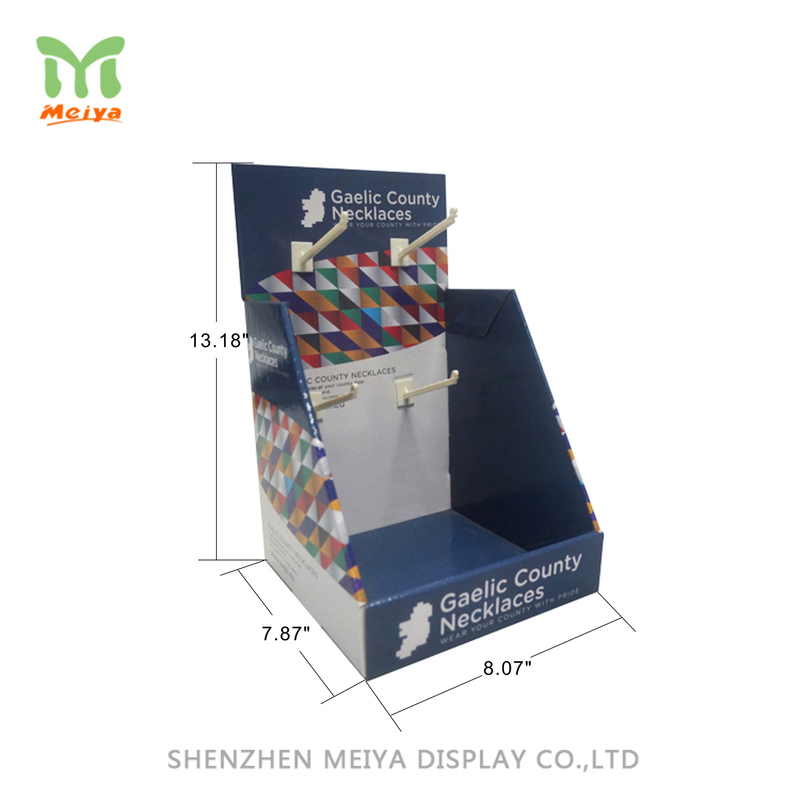 Cardboard displays sit in the cash register, that make customers draw more attentions to the products and push the last-minute sales. They are perfect solution to place craft products, phone accessories, cosmetics and more.